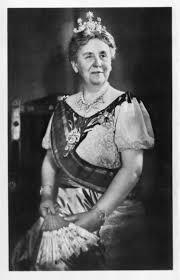 Queen Wilhelmina of The Netherlands had been warning her government for years of the growing danger of Hitler. They paid her no heed. Even as surrounding nations fell, they didn’t believe they’d be next. They’d been neutral in World War I; why not now? Even if Germany invaded, they had a plan. They would flood the northeast and south while defending the western provinces where their major cities were. But then the Germans’ airborne troops parachuted into the heart of Holland’s defenses, making obsolete the flooding plan. Hitler determined to seize Wilhelmina, ordering her to be treated with respect and honor, even going so far as to give her a bouquet of flowers when she was taken prisoner. She was popular with her people and the whole world, and would be a prize for the Nazis. 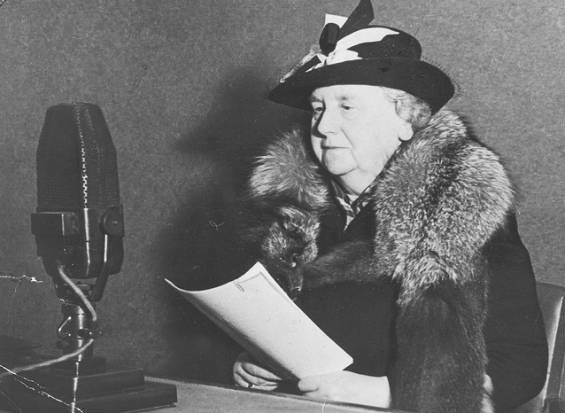 The 59-year-old queen regarded the Third Reich as an immoral system headed by “those bandits.” She made clear to Hitler and everyone else that whoever threatened her country was her enemy. She had grown up in “the cage,” an oppressively formal, strict atmosphere that precluded any kind of initiative, no opportunity to show vigor and courage. She had dreamed from childhood of doing great deeds. The youngest and only surviving child of her elderly father, she became queen at 10 and had no friends her age. Her ministers made clear she had no power. The European monarchs had the right to encourage, to warn, and to be consulted and informed. Like Norway, she was not consulted and her advice was ignored. Like Norway, Holland’s military was antiquated. On May 10, 1940, the German invasion began. For three days, the royal family took refuge in an air raid shelter in the palace garden. The queen was furious the guards wouldn’t allow her to leave the palace. She begged King George VI of England for aircraft to defend Holland, but England had none to offer. A British destroyer was sent with orders to bring her directly to England. She wanted to join her troops on the battlefield like her illustrious ancestors and “be the last man to fall in the last ditch.” This was definitely not allowed. Once in England, she demanded to return to Holland, but the situation had worsened. Rotterdam was firebombed, incinerating much of the downtown and killing nearly one thousand residents. Holland capitulated. Wilhelmina lived in a small, bomb-pitted house in a formerly elegant neighborhood in London. She refused to move to gander quarters befitting her status as head of state, believing she didn’t belong in a palace while her people were in such miserable conditions at home. If Germany invaded England, she would try to join her daughter Princess Juliana in Canada. If that failed, she had ordered her private secretary to shoot her before the Germans captured her. In London with no parliament, she now had power. The government-in-exile had to consider her views, get her approval, and submit to her overrules. She was out of her “cage.” She met every Dutch citizen who escaped to England and broadcast to her people in Holland. Her late night broadcasts were eagerly received by her people. who had to listen to them illegally. After the war, she hoped for a government made up of people who had been active in the resistance, but was disappointed to see the same political factions as before the war. How very interesting! Thank you for this share Teri!